Is it #KaitlynForBachelorette or has she found love? Find out in the latest episode of Now What! Reality Star Kaitlyn Bristowe meets up with Now What host Jessica Graf in her new hometown of Dallas where the two good friends talk, laugh and reveal secrets about reality tv, dating, friend shopping, and Jessica's #KaitlynForBachelorette campaign. You can follow the show on Instagram at Now What Show. Now What is produced in partnership with PodcastOne and The Direct Message, executive producers Crystal Fambrini and John Ryan, Jr. (Co-Founders of The Direct Message). Now What host Jessica Graf welcomes sisters Natalie Alyn Lind and Emily Alyn Lind, two powerhouse performers that are poised to be the next generation of small and big screen super stars. Don't worry boys, you're free to listen. The girls talk - and laugh a lot - about life on and off screen. Natalie plays superhero Lauren Strucker in Fox's The Gifted from Marvel. She shares what it's like to be part of such a huge show. Emily plays Snakebike Andi in the upcoming film Doctor Sleep from the Stephen King novel. Emily reveals here on Now What for the first time her experience working on this sequel to The Shining. You can follow the show on Instagram at Now What Show. 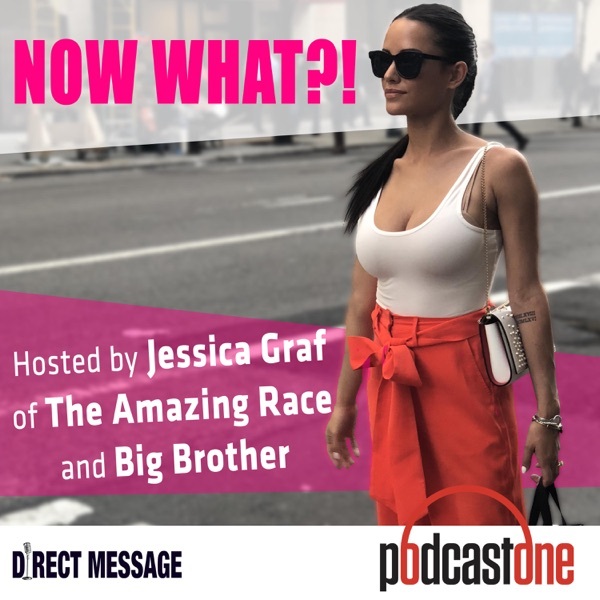 Now What is produced in partnership with PodcastOne and The Direct Message, executive producers Crystal Fambrini and John Ryan, Jr. (Co-Founders of The Direct Message). In this special bonus episode, Jessica Graf and hubby Cody Nickson talk all things Celebrity Big Brother Season 2. Being that these lovebirds met on Big Brother season 19, they give their insider knowledge on who is going to come out on top and win. Now What is produced in partnership with Podcast One and The Direct Message, with executive producers Crystal Fambrini and John Ryan, Jr. (Co-Founders of The Direct Message).